IQS Directory provides a comprehensive list of infrared heater manufacturers and suppliers. Use our website to review and source top infrared heater manufacturers with roll over ads and detailed product descriptions. Find infrared heater companies that can design, engineer, and manufacture infrared heaters to your companies specifications. Then contact the infrared heater companies through our quick and easy request for quote form. Website links, company profile, locations, phone, product videos and product information is provided for each company. Access customer reviews and keep up to date with product new articles. Whether you are looking for manufacturers of infrared heating systems, ceramic heaters, industrial infrared heaters, or customized infrared heaters of every type, this is the resource for you. Infrared heaters could be described as a smaller version of the Sun. These gas or electric appliances use electromagnetic radiation to heat objects, materials or spaces. The radiation they use comes from infrared light, which gives off long electromagnetic heat waves located near but not quite at the electromagnetic spectrum area of visible heat. They do not need to use a medium or air molecules to transport heat. As infrared heaters tend to make very conservative use of energy, they can be used to heat any space from the smallest room to a space as large as a warehouse, sheds or garage. Some of the applications for which they are commonly used include: industrial oven heating, central heating, small space heating, process heating, plastic welding, drying of coatings, glass processing, animal care in zoos and veterinary clinics, and the relief of arthritic joint pain. Infrared heat can be adapted for use with a wide variety of different heater styles, including those used both industrially and by homeowners. Examples of utilities that use infrared heat include: space heater, radiant heater and radiant gas heater, indoor heater and outdoor heater, tube heater, infrared patio heater varieties and more. Infrared Heaters – Blasdel Enterprises, Inc.
Infrared radiation was first discovered in 1800 by a German-British astronomer named Sir William Herschel during an experiment with a spectrometer. He used the spectrometer, which he invented, to measure the magnitude of radiant energy at different wavelengths. Though he discovered infrared light fairly early on, it was not routinely used until World War II, when it was used to cure and dry paints and lacquers applied to military equipment. Manufacturers at that time channeled infrared heat using banks of lamp bulbs. Though, by today’s standards, they had very low power intensities, the infrared lamps worked very well. They dried finishes much faster than did the fuel convection heater. 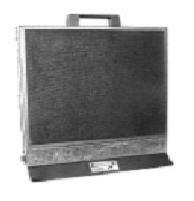 After WWII, manufacturers continued to use infrared heaters. They did not use them heavily again, though, until the mid-1950s, when the automobile industry started using production line infrared tunnels for paint curing. Today, these energy efficient heaters are more popular than ever, and engineers work daily to make them safer and more universally appealing. Some infrared heaters use ceramic, glass or metal for the heating element, but quartz tube heaters are one of the most commonly found types because of the capacity of quartz to heat up very quickly. 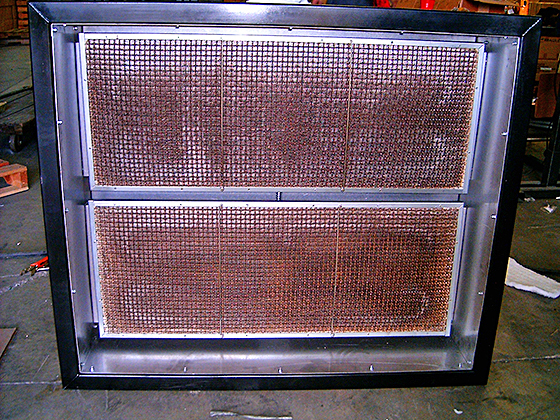 The heating element is shielded by a covering of aluminum, brass, copper, iron, stainless steel or steel. The material will come into close contact with extreme heat and so needs to be able to withstand high temperatures. When designing an infrared heater, suppliers think about: shield material, heating element/heat exchanger type, the temperature that the heater will reach internally, the necessary voltage to receive and convert into infrared waves, maximum watts able to be produced by the heater, etc. They also think about whether they will use electric or gas. Some radiant heaters may combine fans and air movement to re-distribute heated air molecules and spread heat around a room faster, but these are not necessary for efficient infrared heating. The heater is generally available with a protective encasement covering the heating element to prevent injury from contact with heat. Infrared heaters are made up of a heating element and a reflective surface area. The heating element converts energy (measured in microns) from electricity or gas into heat, while the reflective surface is used to direct the heat rays onto objects for heating. While electric heater and gas heater types have different heating elements, both types contain the element within a radiating tube, which is why they are sometimes called tube heaters. You can purchase these tube heaters from manufacturers listed on IQS Directory. Electric infrared heaters use electricity to generate and convey heat to the target space or objects. They are popular these days in multiple industries, due to their cost-effectiveness and efficiency. They are particularly popular in domestic room appliances requiring immediate heat, and so typically have a coiled tungsten wire as the heating element. Gas heaters use the heat energy from a gas flame and convert it into infrared electromagnetic radiation through filaments, tubes, or ceramic heat exchangers, combined with a series of reflectors to direct the resulting heat. Most infrared gas heaters use propane or natural gas as fuel, but some run on petroleum. You can find these types of heaters here on IQS Directory. One drawback of gas infrared heaters is that they can be quite expensive to use. This type of heater is a tube heater with a radiant tube fixed inside. These heaters are named after the low intensity temperature that they generate as exhaust gas passes through their radiator tube. Sometimes, these heaters, also called positive or negative pressure heaters, can produce a radiant heat of more than 1000?. Low intensity infrared heating systems make use of fresh air to carry out the combustion process. These are a common utility, employed in building heating systems. High intensity infrared heaters are a type of ceramic heater with reflectors made of ceramics. They are also referred to as luminous heaters, radiant heaters, and plaque heaters. They work using combustion activity that happens on the ceramic surface and brings the temperature to as high as 1800?. Ideally, these appliances are used in applications that work on, or need high and accurate air exchange. Short-wave infrared heaters, also known as near infrared heaters (NIR), operate at a high filament temperature range above 1800°C and hundreds of kW/m2. They are unsuitable for many drying applications, because their peak wavelength is well below the absorption spectrum for water. However, they do work well for deep heating silica. Medium-wave and carbon heater (CIR) varieties work at a filament temperature of around 1000°C. They reach power densities of up to 60 kW/m2 (medium-wave) and 150 kW/m2, respectively. Instead of using carbon, quartz or high watt ceramic emitters, far infrared emitters (FIR) use low watt ceramic plates that stay cold, while still sending out far infrared radiation. They are sometimes used in saunas, but only small, expensive ones. 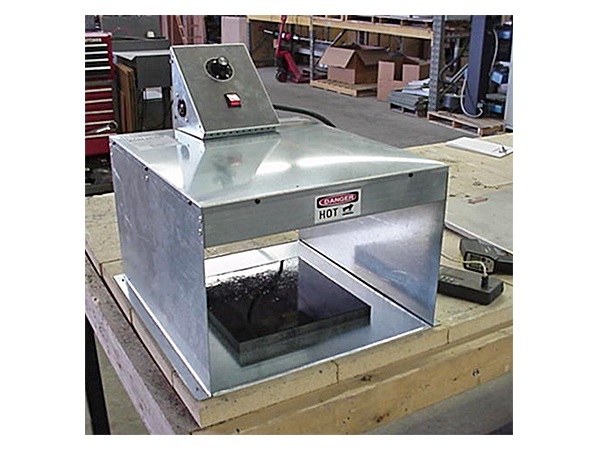 Construction heaters are a portable heater type that can be installed over a tank top. For that reason, these are also referred to as tank top heaters. These heaters use infrared energy to heat up a ceramic surface or steel tube, in order to transfer heat to the desired room or application. The heat produced by these devices turns the ceramic surface or the steel tube red hot. Construction heaters are primarily used for outdoor spot heating applications. The energy beam from an infrared heater system warms you (or your application) directly, not indirectly. That means that you or the area you’re targeting get heated immediately. In contrast, ordinary heaters, when turned on, pass the heat slowly through an area, warming it by circulating the heat all over the application or area. Because they do not usually use a fan to blow out heat, infrared heaters are quiet. They are so quiet, in fact, that they are sometimes known as silent heaters. Thanks to the metallic coil they use, wrapped around the heat source, infrared heaters are able to uniformly distribute heat throughout the entire application. Conventional heater models fall prey to the pitfalls of convection current-dependent warm and cool air pockets. These create problems, especially in industrial processes which require more precision. Infrared heaters are highly energy efficient. Due to their high level of energy efficiency, infrared heaters are considered a "green" or environmentally sustainable method of creating heat. Accessories that you may want to look into for your heating system include: replacement reflector sets, replacement heating elements, protective guards, ground fault features, disconnect features, and tip over shut down features. 1. Do not store or use flammable liquids, vapors or objects near the heater. 2. Do not hang anything from the heater, and do not stuff anything underneath the reflector, in between the tubes or in between decorative spaces. This is a fire hazard. 3. Keep the heater safe by cleaning the reflector surface with a rag whenever you notice dirt or debris. Set up a regular schedule to check on it. 4. Keep an eye out for cracking, sagging, or distortion on the reflector. Likewise, watch out for dirt, obstructions, areas of corrosion, or gaps in the seals and cracks. If you notice any of these issues, do not use the heater. 5. If you have a gas heater, check regularly for gas leaks. The US Consumer Product Safety Commission prescribes and enforces many regulations related to products, such as electric heater systems. Make sure, if your heater will be used by regular American consumers, that is adheres to the applicable Commission standards. International organizations such as ISO also put out standard regulations. For a heating system that may be used overseas, make sure you get this certification. We also recommend looking into the joint Canada-USA standard for gas infrared heaters, CAN/ANSI/AHRI 1330-2015. Finally, many countries have energy efficiency ratings for electric appliances sold within their boundaries. Check if such rating systems exist in your region. Be it home heating or industrial heating, infrared heaters should be purchased with care. To do so, keep the following considerations in mind. To save on installation and power consumption, you should talk to your vendor to help you design an intelligent heating plan, according to various zones and rooms of your home. You have to make sure that you are buying a machine that meets your requirements. For this, you can discuss your requirements, such as room or application size, with your supplier. They will guide you on deciding your requirements. No matter how many stars and positive reviews a model has, you should always prefer the newest model that an infrared heater has. The latest model has the finest and most advanced features that translate to superior performance and efficiency. If you ask, your supplier can provide you with portable infrared heaters as well. These portable options prove handy when you do not need heavy, central heating appliance. You can move these gadgets to another room, to chilly areas, or any other space that requires their radiant heat. Ask your supplier to suggest a piece that requires less maintenance and is easy to operate and maintain. It will help you save time and money. Last but not least, to get a high quality and well-matched infrared heater, you need to work with a well-reviewed manufacturer who offers the right services for you. Find this manufacturer by checking out those we’ve listed near the top of this page. All of those with whom we work are reputable and experienced. For the best results, we recommend you browse their individual websites, pick your top three or four, and then reach out to them with your questions and specifications. Make sure to touch on the points we outlined above. From among these infrared heater manufacturers, choose the one you believe will provide you with the best customer service. Happy hunting! BTU (British Thermal Unit) – Measurement of heat in scale to how much heat will raise water temperature by one degree. Closed Loop Control – Control achieved by measuring the degree to which the system responds compared to the desired response and using the difference to drive the system to attain the preferred result. Convection – The transfer and distribution of heat by fluid or gas, an alternative to infrared. Conduction – Heat transfer and distribution through a solid substance, an alternative to infrared. Curing – A process that improves coating durability by heating polymeric material to form a new structure with improved properties. You can peruse curing oven manufacturers on IQS Directory. Drying – Removes the liquid or solvent, often through heat, so the material is dry without changing the makeup. Forced Warm Air System – Distributes heated air from a central source to each room via ductwork. Heat Treating – Describes heating material to dry, cure, harden or temper it. Infrared – A part of the electromagnetic spectrum that is not visible to humans, but is very near to the visible light spectrum. Kelvin – Scale of international temperature measurement. 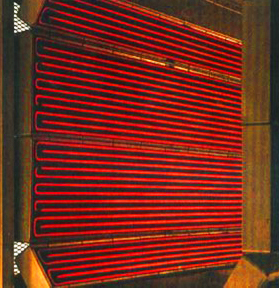 Maximum Operating Temperature – The highest temperature that the sheath covering the infrared heater may reach. Micron – Unit of length that is one-millionth of a meter or one-thousandth of a millimeter, short for micrometer. Powder Coating – The spray on powdered polymer applied to a material/object, which is heated until the coating melts over the material and is evenly cured. Ovens which are suitable for this process can be found by viewing the offerings of the manufacturers listed on IQS Directory. Radiant Heat – Waves of heat that start from a central point and move outward through the air, heating solid objects that in turn heat the surrounding area. Reflector – Material put in place to bounce heat waves off of or to direct heat to a certain area. Substrate – Term meaning the object to which a coating or process is being applied. Therm – In terms of measuring heat, about 100,000 BTUH. Wavelength – Especially on an electromagnetic wave, the distance that a wave progresses in the time it takes to complete a cycle.